If you’d like to take a piece of Würzburg home with you, here are some ideas for souvenirs beyond the tourist shops. Würzburg is in the wine growing region of Franconia. You may not have heard of Frankenweine — they aren’t nearly as well known as the wines from the Rhein or Mosel regions — but they are every bit as good. This isn’t just my opinion, it’s been stated by worldwide wine experts. The three oldest wineries are Bürgerspital, Juliusspital and Staatlicher Hofkeller. Listen to BBC Radio 4: Five Green Bottles – Series 1 — Ancient Steinwein – Hugh Johnson profiles a 1540 Steinwein, one of the oldest wines to have ever been tasted. 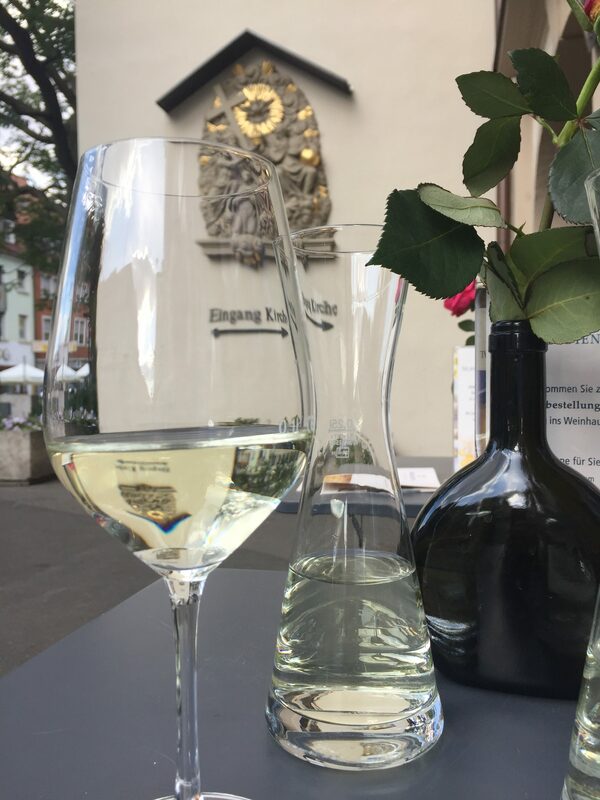 You can’t try 1540 but you can enjoy a glass of Würzburger Stein in the Vinothek of Bürgerspital. You can buy and taste Frankenweine in these tasting rooms. Supermarkets such as Kupsch and Kaufhof sell local wines too. Down the street from the hotel, you’ll find Kupsch, which even has a selection of wines in a vending machine outside the store — perfect for taking onto the Alte Mainbrücke for a Brückenschoppen! At the base of the Marienkapelle in the market square, you’ll find a selection of souvenir shops selling beer steins, fridge magnets, t-shirts and teatowels. Some stores such as Kaufhof or Hugendubel (the large book store on the main shopping street, just along from the Dom) also stock souvenirs so worth looking there too. Wachs Schenk is one of the last candlemakers in Germany. Their city shop is Am Schmalzmarkt (from hotel, down the lane next to Nordsee fish restaurant, turn left at the next corner. The shop is on your left). There are a range of really great small gift shops that offer something slightly different. If you’ve been to Würzburg a few times, you might not want to take your loved ones another teatowel or candle! Take a week look in the row of shops under the Rathaus arcades. Formschön is the first, larger shop you’ll come to. Here you’ll find pretty accessories, silk scarves, herbs and spices and a whole lot more. They also have a flower shop in Schmalzmarkt — see the candle shop above for directions. Next to Formschön is Maison de Ville. As you’d expect from the name, the focus here is on products from France but they also have some German souvenirs. They have an excellent selection of the timelessly elegant Coer de Lion jewellery which is handmade in Germany. From little keyrings to professional pepper mills, there is something for everyone and every budget. Finally, Eton Place. Ok, you may wonder why I’m sending you to an BRITISH shop in Würzburg but it’s really very pretty so have a wander around. They stock Dunoon mugs with Würzburg motif, so that’s one reason to take a look! Want something unusual for a new baby or for a special occasion? 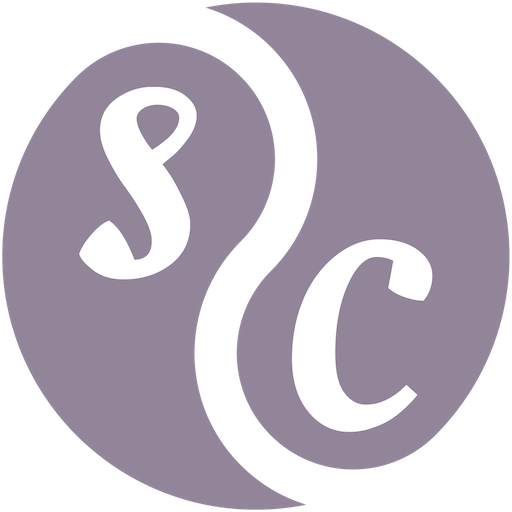 Schlier is right opposite the hotel and is one of the oldest stores in Würzburg. Their kids’ clothes department is now in the cellar, and goes up about 8 years old. They also have a lovely range of tablecloths and decorations, so worth a look for other gifts here too. Got teenager grandchildren at home? Stand in front of the Rathaus with your back to the building and walk past the fountain along the Augustiner Strasse to Die Pampelmouse. My daughter’s favourite gift store, it has sweet little home accessories, stationary and general knicknacks. Don’t miss Die Murmel — which translates to ‘the marble’. In the same street as Die Pampelmouse, you’ll find the best toy shop in Germany. 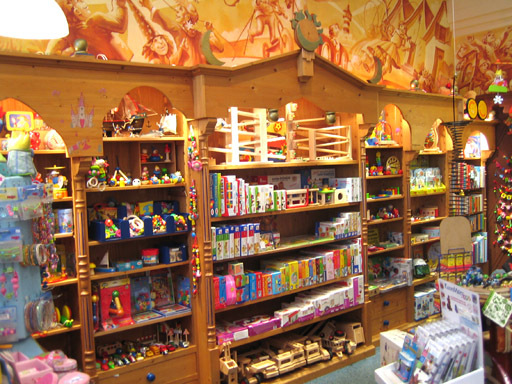 They have a huge range of amazing toys and games in a beautifully decorated shop. The staff are incredibly friendly and ready to help you find the perfect gift. Like many German cities, Würzburg has a pretty decent ‘Cafe Kultur’, with cafes and bars on every corner. If you want a quick snack, then nip into one of the cafes for a baguette, soup or plate of chilli. These meals are less expensive than going into a restaurant (and generally served faster too, so good if you are in a bit of a hurry). The cafes are often just off the main shopping streets, such as on Theaterstrasse, Sanderstrasse and Juliuspromenade. For a slightly more substantial meal, seek one of the Weinstuben, such as Maulaffenbäck in Maulhardgasse or Babette’s Weinstube in Franziskanerplatz. Babette’s has a nice little Weingarten out the back of the restaurant. Burgerspital and Juliuspital Weinstube both worth a visit. Burgerspital has a Winegarten where you can sit and relax, and have a snack during the day. Juliusspital puts a particular emphasis on local products. Talking of wines — start your evening with a glass of wine on the bridge. The Brückenshoppen has grown from the one restaurant offering an aperitif outside on the bridge to every nearby restaurant and bar selling chilled wine in summer and Glühwein in winter. Top tip — if you don’t want to stand while you drink your wine, go down the side of the bridge (past the English shop Eton Place) and turn left at the traffic light. Under the bridge, there’s a little bar with stools for the tired and weary. You can also reach it from the bridge, just go down the stairs opposite the entrance to the restaurant. Italian restaurants are plentiful and generally affordable in Würzburg. For a quick lunch, try Casa del Gusto in Herzogenstrasse, or in the same street Trattoria Augusto. The oldest pizzaria in Germany is to be found in the Elefantengasse, just off Sanderstrasse, Capri, Blaue Grotte. All of these have (limited) outside seating. Open air dining is popular in Würzburg, with the Biergarten am Alten Kranen down by the river a firm favourite with guests and visitors alike. Sternbäck in the pedestrian zone has always been famous for their baked potatoes, and the Würzburg Stadtstrand is a great place to sit and watch the ships go by. Their food isn’t anything to write home about so perhaps just for drinks there! Have an Aperol Spritz or a Hugo – both popular prosecco cocktails. Traditional German restaurants in the city centre include Backöfele in the Ursulinengasse (around the corner from the Rathaus), and Zum Stachel in Gressengasse (near Marienkapelle, Unteren Markt). Don’t forget the ‘Geknickte’ Bratwurst opposite the Marienkappelle for the best sausages in Würzburg. Order ‘eine mit’ if you want one with mustard (senf) or ‘eine ohne’ for a Bratwurst without mustard. Tried and tested Vegetarian Friendly Wuerzburg — download a PDF of Cat’s recommendations. Other restaurants include Veggie Bros in Juliuspromenade and Sanderstrasse, whose tagline is the immensely amusing ‘two guys, one falasophie’. Café Fred is around the corner from Kaufhof and has tasty veggie and vegan meals. Wunschlos Glücklich translates to ‘perfectly happy’ and that’s what they aim to make you in this hidden gem. Nähcafe Edeltraud is a weird but good combination of sewing shop/atelier and cafe. A typical Kneipe with good, reasonably-priced snacks and simple meals. There’s also an Italian restaurant in this square. Just down the main street, in a little alley. Hearty Italian food with good wine. Casa del Gusto / Herzogenstr. In the same street as Augusto. A great place for lunch, with incredibly tasty daily pasta dishes – which they offer with meat or as vegetarian option. Don’t forget to order a glass of prosecco! The owner can be a bit prickly but the food is good! They have a little garden out the back which feels very calm and relaxing despite being right in the town centre. From tacos to burritos, all your favourite TexMex food plus burgers and a decent range of vegetarian options. The oldest restaurant in Würzburg, first mentioned in 1318, and named Zur Stachel in the 16th Century. During the Bauernkrieg – the farmer’s uprising – a mace would be hung out of the window to signal important meetings. In the local dialect, the mace is called a ‘Stachel’ or spike. Traditional German restaurant in attractive, historical building. The garden is really quite beautiful, with the charm of a Tuscan olive farm! In the heart of the city of Würzburg, located between the Cathedral and the old Main Bridge; just 50 metres from our hotel (left). Excellent Franconian food and wine in a great location! This is simply the most fantastic restaurant set in a beautiful square with the quality of food and wine to match the view. The dishes are not only tasty but are beautifully presented. Enjoy with a beer or the local dry white wine (available by the glass); to finish, share an apple strudel! The Weinstube has been here since 1907 and they retain the tradition formerly common in many wine bars, that you can bring your own Brotzeit (what we Scots would call our ‘pieces’ – between 10am and 12pm. Don’t worry, you can of course just order a meal if you don’t want to DIY it! Unique Weinstube and Bierkeller – delightfully and really worth a visit. Light bites to more substantial meals but not a huge menu. Closed Sun/Mon. Right on the corner of Sanderstrasse and Neubaustrasse, this Würzburger ‘institution’ is great for a quick snack and has a good range of vegetarian options, burgers and daily specials. Burger and chips from €4.90 and great value daily specials. Decent selection of veggie options (and all burgers available as veggie). Old-style cafe with snacks and light meals. About 10 minute walk down to the Main to the Stadtstrand. The oldest pizzeria in Germany – the blue cave in the cellar is not always open but you can ask to take a peek! Traditional Bierkeller with very reasonably priced, freshly cooked meals. Bit off the beaten track but really worth getting lost in the alleyways of Würzburg! The building at Alter Kranen is actually host to several restaurants. Make sure you are in the right section, particularly in the garden, as they serve very different food. The newest restaurant is Beef 800 and has received mixed reviews – proceed here with caution! On the opposite side of the building is the large Biergarten, which is more for drinks and light snacks such as Brezel or Bratwurst. In between, you’ll find the Gasthof Alter Kranen, a traditional Franconian restaurant with hearty meals, dumplings, to be washed down with beer or wine and Locanda, an Italian restaurant famous for their HUGE pizzas. Guests can share a pizza, in fact you can even order one pizza with two different toppings on each half. Very popular though so go early or be prepared to wait for a table, particularly at the weekends. Walk along to the Löwenbrücke (the bridge with the lions right under the Festung) or take a tram towards Heuchelhof and alight at the Löwenbrücke stop. Walk along in the direction of the tram, down the ramp and across the road at the zebra crossing, then to your left. The Marina Hafenbar is down a flight of steps, as you’d expect, right on the river. Enjoy a pizza, burger or a speciality of the area – Steckerlfisch. Watch the BBQ Boats arrive and depart. Take the tram to Steinbachtal, then cross the road walk past the bus stop to the restaurant. This Gasthof was founded in 1896. It has a beautiful biergarten under massive chestnut trees. The food is excellent and the staff friendly and helpful. The Card gives free entrance to a number of attractions: Mainfranken Theater; Museum Shalom Europa; Museum im Kulturspeicher; Mainfränkische Festung Marienberg Museum; Martin-von-Wagner-Museum of the University, in the Residence; Mineralogical Museum der University; University Library; Main Library in Falkenhaus; and all city events (subject to availability). Retail therapy for the shopaholics. Walk back via Woolworths; Shoe shops; and fashionista to the hotel. Tram #2 (Zellerau) or #4 (Zellerau). Get off at the Siebold Museum (last stop before the terminus). Molly likes it for the good selection of plants and pots, gardening tools, gifts and flowers. The seasonal selections can provide nice presents; helpful staff. Tram #3 (Heuchelhof) or #5 (Rottenbauer). Get off at Dallenbergbad. On the road to Heidingsfeld. Entry is free with Welcome card. Tram #3 (Heuchelhof) or #5 (Rottenbauer). Get off end of Mergentheimer Str. Has a good cafe/restaurant. Collect leaflet on entry to get a food discount! Tram #3 (Heuchelhof): Get off at Heuchelhof Athener Ring; stores visited by Anne, Margo & Molly. Interesting! Pretty little village right on the river Main, popular with cyclists and artists. Can be reached by bus from the central station. The village is home to several wineries. The historic buildings with timber-framed houses house art galleries, cafes, restaurants and gift shops. This area is sometimes referred to as the ‘Fränkische Toskana’, and you’ll find a slice of la dolce vita here! Where wine, art, craft, theatre, and Franconian hospitality promise an eventful day. Has been an important municipality on the Main since the Middle Ages. Embedded in the Valley of the Main among vineyards, has been the hanger for Frankish romanticism for decades. The medieval city wall has been preserved; pleasant to stroll round. All buildings in the town centre in the narrow, winding streets look back on several hundred years of history. The town hall dates from the 16th century. If you are unlucky there will be craft markets; if you are lucky you can enjoy a chilled glass of wine in one of the many Weinstubes. You can try a wee boat trip to Ochsenfurt but watch your timing for the bus back. 8km (5mi); 40mins by boat; €12 return. In the opposite direction to Sommerhausen, reached by boat from Würzburg, Veitshöchheim isn’t quite as picturesque but does boast the impressive Schloss Veitshöchheim, with the rococo gardens. The gardens are a short walk through the town from the boat. There are various cafes along the main and throughout the town. 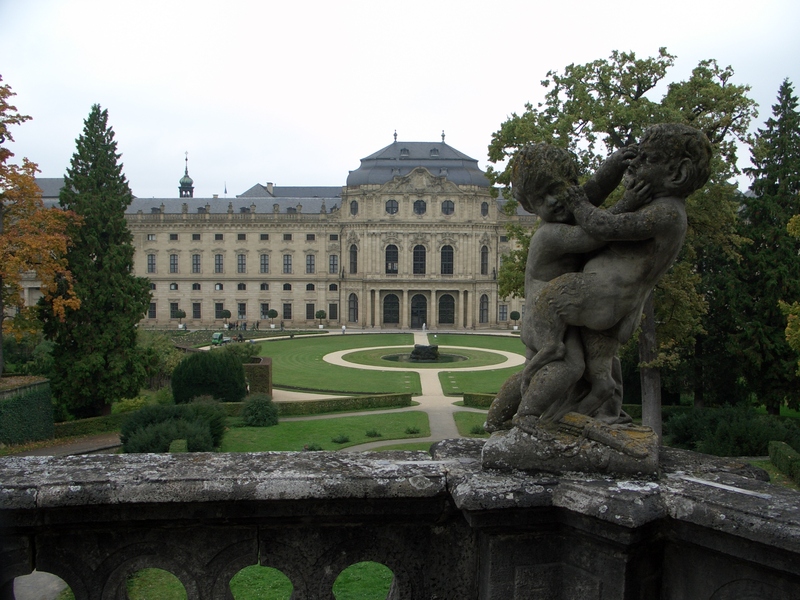 The summer palace of the Prince-Bishops of Würzburg was built in 1680–82, and was enlarged to its present appearance in 1753 by Balthasar Neumann. The gardens were redesigned for Prince-Bishop Adam Friedrich von Seinsheim (1755–1779), with lakes and waterworks, and filled with hundreds of allegorical sandstone sculptures from the workshops of the court sculptors Ferdinand Tietz and Johann Peter Wagner. Watch for the birds of prey on the boat trip; enjoy (free) a leisurely stroll through the most beautiful Rococo garden in all of Europe. Also enchanting is the newly renovated castle (entry fee). If you have seen it all before, join Brian for a refreshing drink and relaxing lunch. Walk or tram to Alter Kranen then take a boat to Veitshöchheim. Perth’s twin town; 77km by rail; 10€ return (Bayern Ticket – groups of 5). As a city of culture, Aschaffenburg comes with palaces, parks and museums. The visitor may discover and experience the ever changing history of the city within short walking distances. Various shopping facilities, recreation along and on the Main river, the large number of pubs and the hospitality of the locals ensure the well-being of guests from all over the world. 101km (63m) east; 65mins by rail; 10€ return (Bayern Ticket – groups of 5). As visitors wander through the UNESCO World Heritage Site of Bamberg, they are particularly enchanted by the city’s many different facets. In the hill city Bamberg portrays itself as the Franconian Rome, the island city with Little Venice and the shopping district is its lively heart. Bamberg, this means beer from ten breweries within the city, supped in traditional brewery pubs, this means shopping in modern shops and a historical atmosphere. Extends over seven hills, each crowned by a beautiful church; leading it to being called the Franconian Rome – although local tour guides is to refer to Rome instead as the Italian Bamberg! Listed as a UNESCO World Heritage Site; main sights are: Bamberg Cathedral; Alte Hofhaltung (old residence); Neue Residenz; Bamberg State Library; Altes Rathaus (Old Town Hall) (1386), built in the middle of the Regnitz river, accessible by two bridges; Klein-Venedig (Little Venice), – a colony of fishermen’s houses falong one bank of the river Regnitz; Michaelsberg Abbey – built on one of the Seven Hills and Altenburg castle – former residence of the bishops. 110km; 70 mins by rail; 10€ return (Bayern Ticket – groups of 5). The Imperial Castle and the artist Albrecht Dürer are names that are inseparably linked to Nuremberg, but beyond these, there are many other attractive sights to discover and explore: The picturesque Old Town with its ensemble of historical buildings, imposing churches and romantic winding lanes; the rock-cut cellars buried deep within the castle hill. Don’t forget to have Nurnberger Bratwurst, a speciality of the town. We can catch the 09:42 train and in Nürnberg for 10:54. From the station; through the underpass to the Craftsmen’s Courtyard next to the Konigstor Tower (Tourist Information across the street); stroll round, see some great wee craft stalls; visit the fine famous Nürnberg Bratwurst Café. Catch the tram across the street to the Zeppelin Field – A Place for Learning using your Bayern Ticket. Go early as you need a minimum of two hours to do justice to the museum. On return, a leisurely stroll takes you to the main medieval square with the tower.